I stopped by the MAC store and picked up one of their Pro Palette Large/Single, which was priced at a shocking $8.00. Other magnetic eyeshadow palettes retail for around $15.00, so I pleased to get one one for less than $10. It is hard plastic, unlike the expensive thick cardboard palettes. I also grabbed a Luxury Powder Puff set (of 2) which was a whopping $12.00! Pretty expensive for puffs, but pretty handy if you want to step up your makeup application game. Also, a lot of people rave about these despite the price. Finally, I got a single pan of the MAC Eye Shadow in Saddle. A pretty popular brown shade for the crease, especially for tanner girls. Right now, MAC has their single pan prices at $6.00 and I paid less for a pro palette and a single pan eyeshadow than a single eyeshadow in the case ($14 vs. $16, respectively). 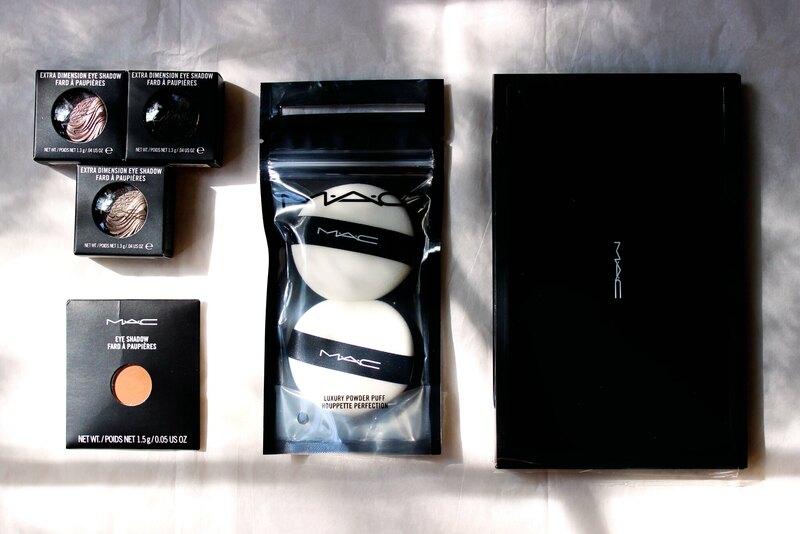 While my sister and I were passing by the MAC counter at Nordstrom, we saw that they had a gift bundle of 3 MAC Extra Dimension Eye Shadows for about $29.50. You get three really nice deep dark shades: Stolen Moment, Silver Dawn, and Dark Dare. 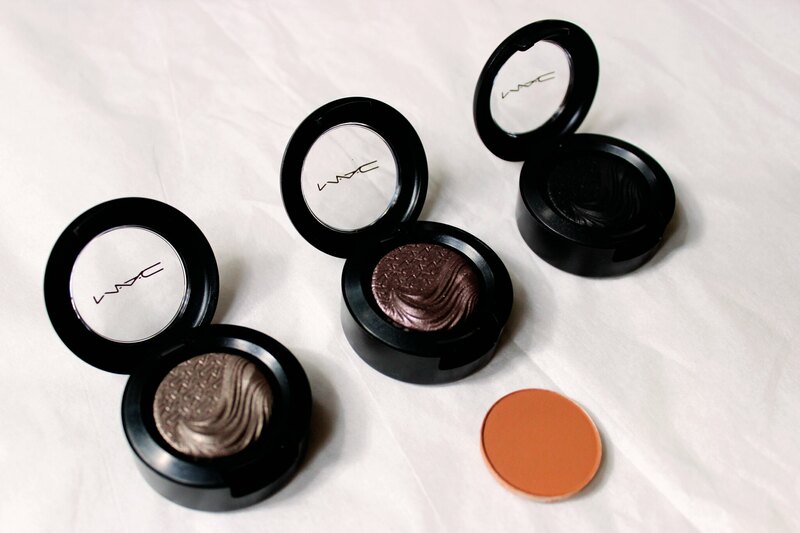 On their own, MAC Extra Dimension Eye Shadows cost about $22.00, so this was a steal! That is literally it, I'm done with this haul. On Monday, I HAVE A VIDEO! It is my 12-Month Bullet Journal Flip Through Video. If you fancy another read is my 8-Month Bullet Journal Update.